By CATHERINE TSAI, 20 June 2012, (c) 2012. The Associated Press. All Rights Reserved. 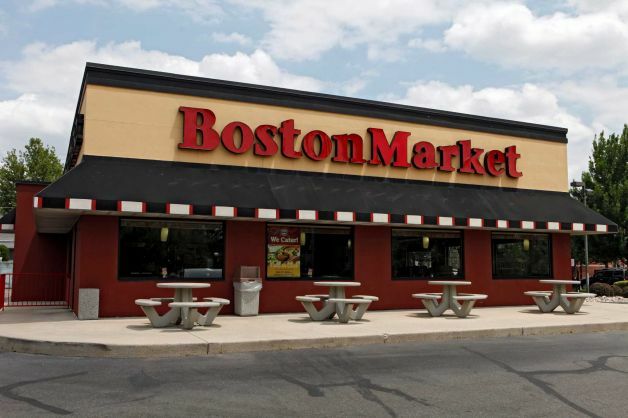 DENVER (AP) – Boston Market Corp. plans a string of summer deals and giveaways to lure customers, especially younger ones, in a competitive market. The campaign was built to show how the chain can fit into people’s lifestyles. “It’s not just food that goes in your belly. It can be part of something you can experience,” said new chief brand officer Sara Bittorf. Already the chain has introduced a summer menu with barbecue chicken, highlighting a sauce that launched last year. Now through July 29, kids under 12 who come in wearing a team uniform get free dessert when they buy a kids meal. During part of the Tour de France, people who ride their bicycles to Boston Market can be eligible for discounts. It also is holding a sweepstakes with a trip to Maui as the grand prize. Finally, in August, an extreme sports athlete who is a fan of Boston Market will host a giveaway. Bittorf wouldn’t divulge details, but skateboarder Ryan Scheckler was recently quoted saying his ideal last meal would be from Boston Market. The goal is to build on a reputation as a trusted partner for providing wholesome meals while also drawing younger customers, Bittorf said. The company started as Boston Chicken in Newton, Mass., in 1985. Since then it has been through a name change, a trip through bankruptcy court and ownership for a time by McDonald’s Corp.
An affiliate of Sun Capital Partners acquired the company, now based in Golden, Colo., in 2007. It doesn’t release annual revenues. The company faces competition on multiple fronts, said Darren Tristano, executive vice president of the food industry research firm Technomic Inc.
Now it needs to find a way to hook more young, single people with grab-and-go food, not just harried parents, Tristano said. While it has long offered more than chicken, Boston Market is looking to add more menu items, perhaps around the first of the year. It has a catering business, but it also is testing delivery in New York City. “It’s on our radar. We’re trying to figure out how to make it work in less dense areas,” Bittorf said. This entry was posted on Wednesday, July 18th, 2012 at 9:00 am and is filed under Advertising, Advertising, Chicken, Contests, Limited Time Offers (LTO's)/Seasonal Offers, Menu Development/Innovation, Menu Trends, New Product Tests/Mentions. You can follow any responses to this entry through the RSS 2.0 feed. You can leave a response, or trackback from your own site.